“We are very proud to receive this prestigious award for the third time in a row,” emphasizes LEUCO's Head of Marketing Wolfgang Maier. 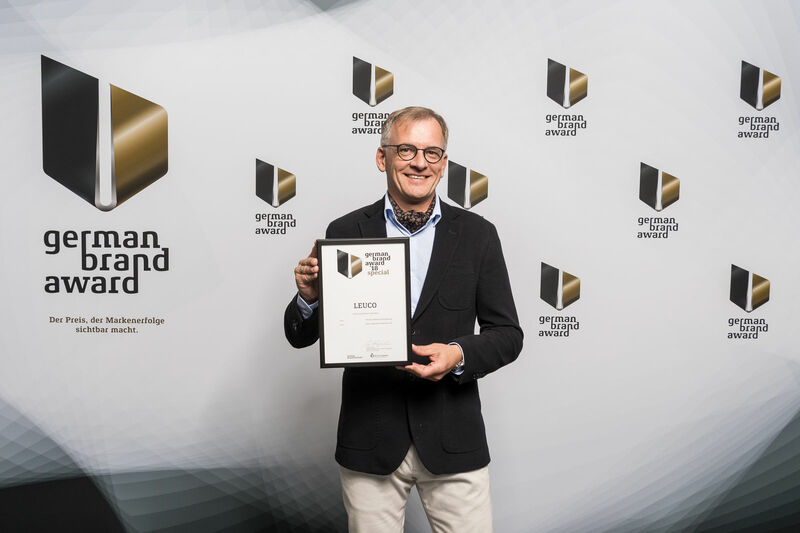 The precision tool manufacturer from Horb has received the German Brand Award in the category "Industry Excellence in Branding" for the third year in a row. This year with the addition "Special Mention". As part of a gala event on June 21, 2018, LEUCO was awarded the "Special Mention" prize in Berlin. The globally operating manufacturer of wood- and plastic-processing tools has been relying for years on a consistent corporate design. "To receive the German Brand Award for the third year in a row confirms our successful strategy," says Wolfgang Maier, Head of Marketing at LEUCO. The German Brand Award is awarded every year by the German Brand Institute and the German Design Council to companies that have sustained brand concepts. The prize is awarded in three competition categories. In the "Industry Excellence in Branding" category where LEUCO is represented, an award is given for the best product and company brands within an industry segment. The German Brand Institute was initiated by the German Design Council. Established more than 60 years ago upon petition of the German Parliament, the German Design Council today represents the design and brand system in the Federal Republic of Germany and supports the economy in all design and brand matters – competently and sustainably.